Lettuce – Whether you like a fresh leaf on your burger or a tossed salad, the crispness of lettuce straight from the garden cannot be beat. 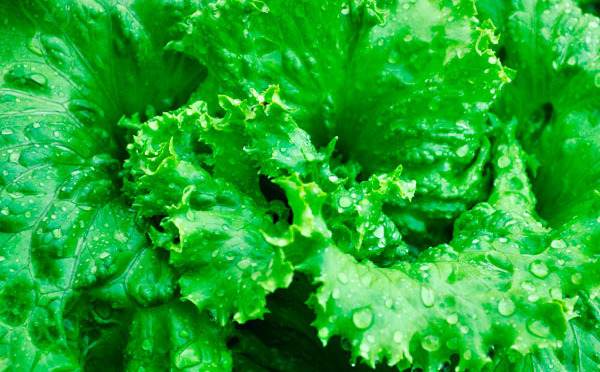 Lettuce is particularly easy to plant in a container and is surprisingly decorative when a variety of red, green, and varying leaf shapes are combined. The leaves are ready to harvest approximately 7 weeks from planting the seeds. Be certain to keep the soil evenly moist. Kale – This leafy green vegetable is a vitamin powerhouse, and flavorful to boot. If you plant the curly-leaf variety, these are great for making crispy, baked chips. Kale is well known for tolerating fall frost and may be harvested until the ground freezes in winter. These plants do best in organic-rich soil that is kept slightly moist. prevent them from toughening and to encourage the plants to produce more. Radishes – There are many flavors, spicy to sweet, and colors of radishes to grow. They take less than one month to grow from seed. If fresh radishes aren’t your style, then try roasting them, as you would a potato or carrot. Consider staggering plantings over 2 weeks for a steady supply, rather than all the radishes maturing at once.